In lesson 4, you’ll learn how to talk about where you live. 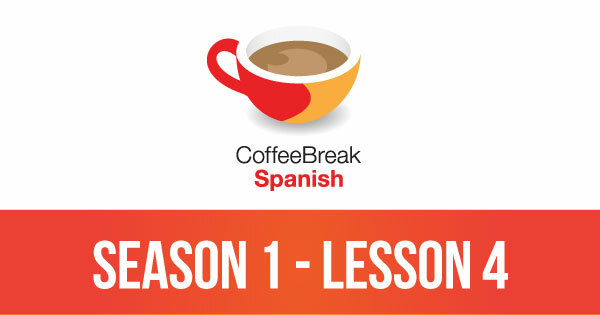 Please note that lesson 4 of Season 1 was originally known as lesson 104 of Coffee Break Spanish. We have renumbered the lessons of each season as lessons 1-40 to make things more simple for our listeners. 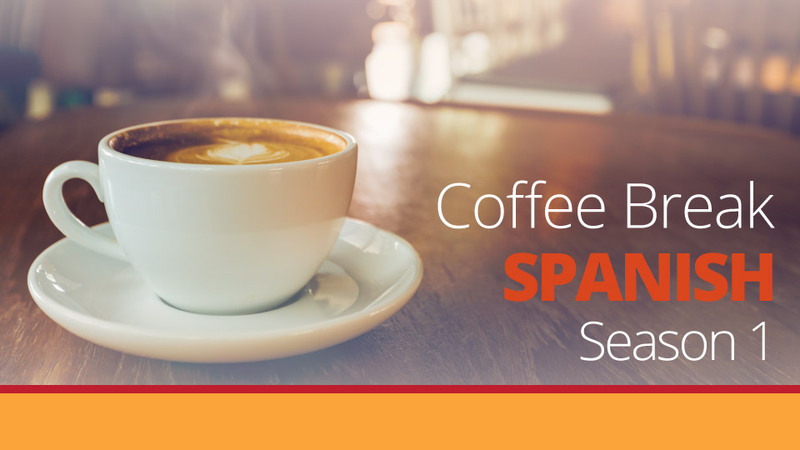 The premium version of Coffee Break Spanish Season 1 provides additional materials which will help you move forward more effectively with your Spanish studies. These are available on the Coffee Break Academy. I found your pod casts on medifly.com and they are really great.I’m in Cleveland, Ohio and I listen to you pod casts at work. Your teaching method agrees with me. Here at the tool&die shop, I have a Spanish friend that I’m trying to learn to converse with. Hey guys I’ve been listening since episode 10 premiered for the first time. I’m so happy for your prosperity and the new show. Yo pienso que yo voy a oir a el otra podcast, “Coffee Break French”, por que tu. Bueno, no? I’ve learned great so far, but when will new lessons be released? soy de irlanda,i have a spanish student that im minding for 2 months and im only on lesson 4 and i talk brilliant to her.thanks guys. ReplyHey guys I’ve been listening since episode 10 premiered for the first time. I’m so happy for your prosperity and the new show. Yo pienso que yo voy a oir a el otra podcast, “Coffee Break French”, por que tu. Bueno, no? ReplyI’ve learned great so far, but when will new lessons be released? I realllllyyyyyy enjoyed this and am desperate to do more and more. By the way is it posssible for you to access this on any other phone, I’m talikng about the step by step guide. Am LOVING these podcasts – they’re the perfect length, and I’m finding they move at just the right speed. Now that I vivo en Miami, I have ample opportunities each day to practice what I learn during my new fun coffeebreaks en Enspanol. Coffee Break Spanish es muy interesado y un buen modo de mejorar todos los dias sin gran dificultad! Para mi es la mas util de todas maneras (formas)de aprender idiomas que yo hice antes! Muchas gracias por compartir! Hola!Me llamo Rabe. Soy de Tailandia pero ahora, vivo en Los Estados Unidos. I love Coffee break Spanish, you are making learning Spanish so fun and less scary 🙂 I’m addicted to listening to more lessons now. This is a really good podcast! I love it very much! I’ll have to give it a “fenomenal”! Why not soy again? … pero soy bvivo los estados unedos. “Soy” means “I am”. “Vivo” means “I live”. In both these verbs the “I” is indicated by the ending -o. There is a specific word for “I” in Spanish – it’s “yo”, but you don’t need to say “yo soy” or “yo vivo” unless you want to stress the “I”.